Spring has sprung at the Apple Farm San Luis Obispo. The sun is out, the air is crisp and the flowers are in full bloom. 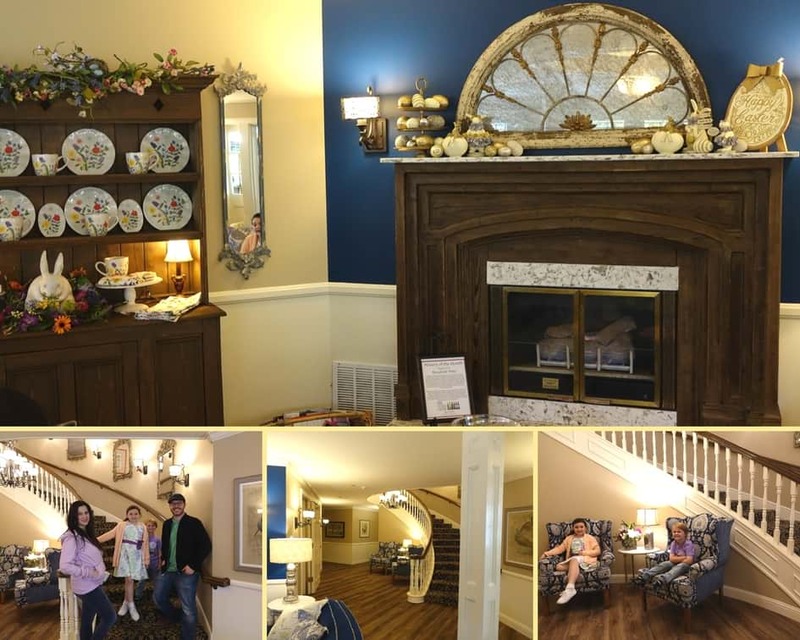 Everything from the elaborate Apple Farm Inn hallways to the adorable gift shop is decked out in spring décor and it is just splendid! I’ve visited during the fall, which was lovely and I am simply obsessed with their Christmas decor. 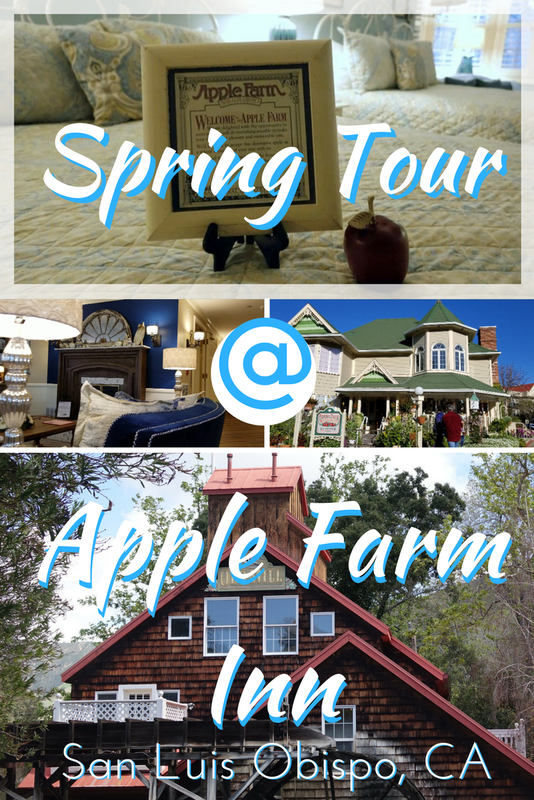 Now, I was invited to come and experience spring time at the Apple Farm San Luis Obispo and I couldn’t have been more thrilled. 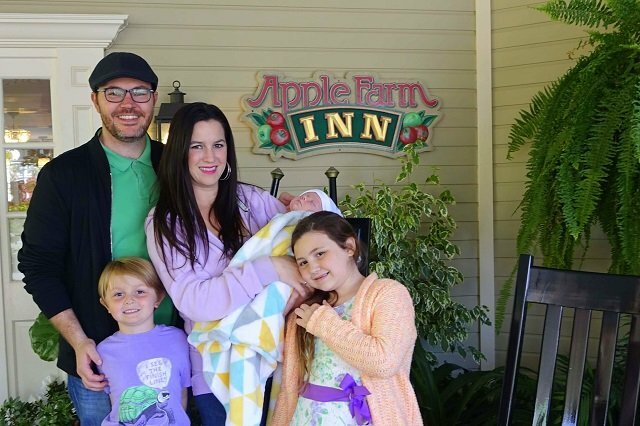 (Full Disclosure: Apple Farm Inn invited our family for a two night stay to experience the Inn during Springtime. We have visited Apple Farm Inn several times on our own in the past, and this was our first sponsored visit. As always, all opinions are my own and based on our family’s genuine experience at Apple Farm Inn). 3 Why we love the Apple Farm: Let me count the ways. The Hills are Alive Spring package embraces the natural beauty of the spring season. In addition to discounted room rates and dining credit, this special encourages guests to take pleasure in the natural beauty surrounding the property. Not only are there lovely gardens to wander through at Apple Farm, but they also provide guests with a San Luis Obispo hiking guide for those who really want to get out there and be one with nature. As a take home gift, guests receive a flower seed package to plant a piece of Apple Farm at home. Mother’s day and Easter are two special holidays that occur during the spring, and Apple Farm knows how to help guests celebrate. 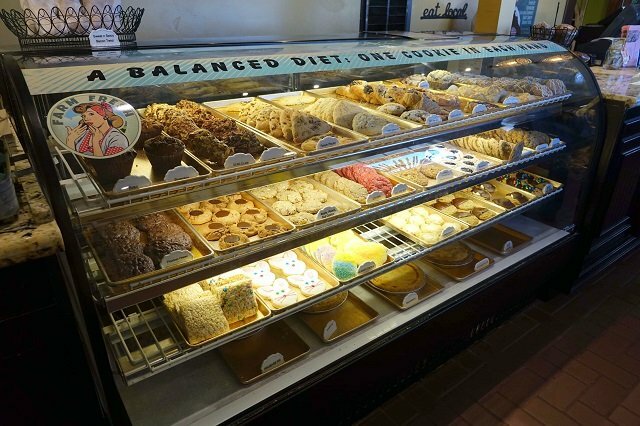 For a sweet family weekend, consider visiting during Easter. The kids will love meeting the Easter Bunny and parents will love taking those darling pictures! The Apple Farm Restaurant also offers a special Easter themed menu in addition to their regular menu favorites. What I love about the Apple Farm Inn are the unique amenities that make this hotel especially inviting. Being in wine country it makes sense that the Apple Farm is enthusiastic about wine. Every day guests are invited to sip and mingle with a complimentary wine tasting reception from 3:30pm to 5:00pm. Not only does the tasting feature local wines as well as Apple Farm’s own namesake wine, they also bring out delicious appetizers from the restaurant to nibble on! The fried vegetables were ridiculously tasty. Throughout the day from 7:00am until 10:00pm guests are welcomed to enjoy a hot tea, coffee, cider and even citrus infused water in the lobby. Sometimes they even put out fresh cookies, which our kids really loved. The rooms at the Apple Farm are a highlight for us. They are all beautifully decorated in shabby chic décor, complete with terry robes and gas fireplaces. What I love is that each room has a welcome gift. In the room is an innkeeper’s wooden apple souvenir and a basket filled with sparkling apple juice and chocolates. We love the little wooden apple and collect one with each stay. I use them in the décor at my home as a reminder of wonderful weekends spent at the Apple Farm Inn. Since the rooms are so nice, it is hard to want to leave. You may want to relax in your terry robes, turn on the fireplace and enjoy a breakfast in bed. With the Breakfast in Bed service, which is available between the hours of 7am and 10am, guests receive a fun-filled tray loaded with treats from the Apple Farm Bakery. At night they offer a turndown service, which the kids really appreciated. After returning to our rooms after a long day, it was nice to find the beds pulled back and little chocolate mints on the pillows. Talk about sweet dreams. 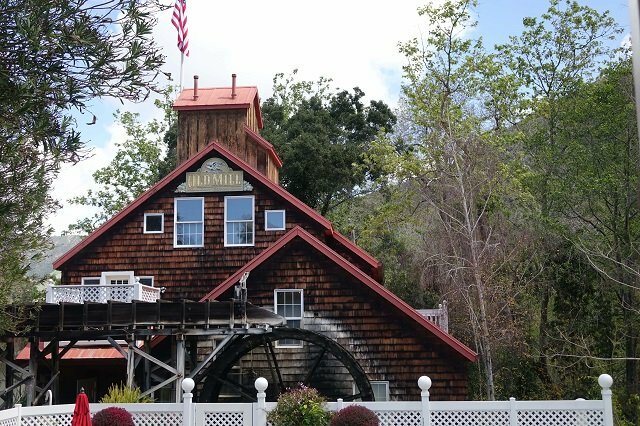 The Millhouse, which features a 100 year old, 6,000 pound white oak watermill, has served many purposes over the years. Now it houses 4 gorgeous guest rooms and the Millhouse Suite. Once the Franciscan Motel, Apple Farm purchased it in 1988 and it became an extension of the Inn. Decorated in Apple Farm signature style, the old motel was transformed into the Trellis Court. 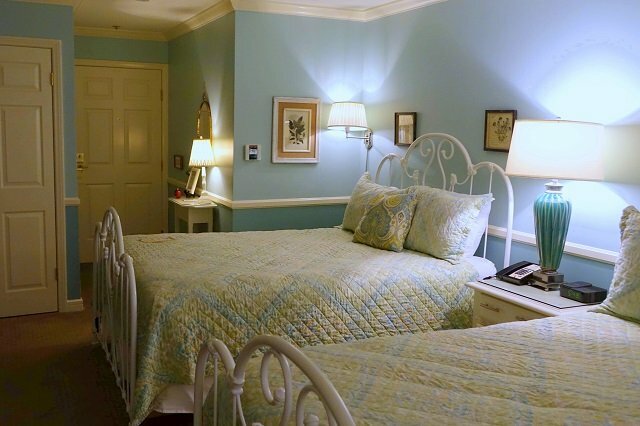 In addition to queen and king rooms, Trellis Court is where you will find the two family suites. Whether the weather is hot or cold, the heated swimming pool and spa are always a good way to spend the day or night. I have never visited during summer, but during the winter our family loves to end the day with a dip in the hot tub. It feels so good to warm up while the air is crisp and then to return to our cozy room with the fireplace and sip on some wine. Fun fact, the Apple Farm Inn didn’t actually begin as hotel. The Apple Farm Restaurant is what really started it all. Yes, the inn began as restaurant in 1977 after the purchase of a floundering pancake house. The owners remodeled the restaurant, eventually expanding to three times the original size. Breakfast is from 7:00am to 1:00pm. Lunch is from 11:30pm to 5:00pm, but on the weekends lunch doesn’t begin until noon. Dinner starts at 5:00pm until 9:00pm. Happy Hour is Monday through Friday from 3:00pm to 6:00pm. 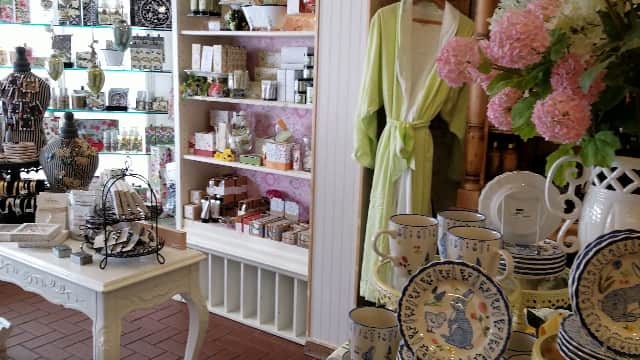 Aside from the darling seasonal décor of the Inn, the Apple Farm Gift Shop goes all out. Many of the décor items that make up the sweet vignettes in the hallways can be found for purchase in the gift shop. Let’s talk about the amazing Apple Farm service! Shout out to Shelly who wrapped the gorgeous silver Victorian eggs that I bought as gifts for some ladies back home! Why we love the Apple Farm: Let me count the ways. Gorgeous, cozy and simply lovely- There really aren’t enough pretty adjectives to describe the Apple Farm. Everything is done so beautifully that you can’t help but to sip your glass of wine by the roaring fireplace surrounded by the warm décor and just feel an overwhelming sense of contentment. Seasonal décor and events- We love how the Apple Farm embraces every season. 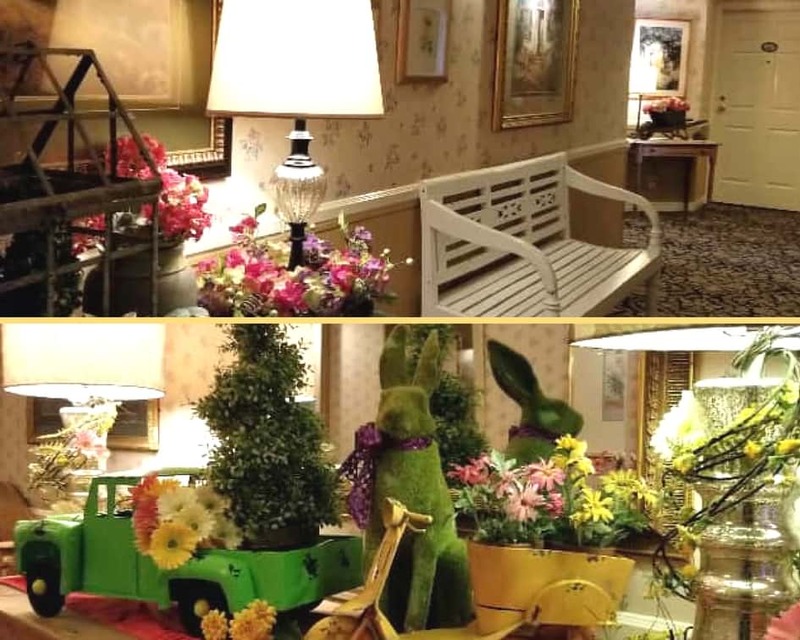 Summer, spring, fall and winter all offers exciting new décor to enjoy as well as events and packages to celebrate the season. No matter the time of year, there is always a reason to stay at the Apple Farm Inn. Daily guest wine reception- We love complimentary wine, right? Don’t answer that question, because if your answer is anything but YES, I don’t think we can be friends. Romantic enough for couples, yet friendly enough for families- This one is pretty self explanatory. Yummy restaurant onsite- There is no need to drive, because great food and drink are never more than a few steps away. Close to popular Downtown San Luis Obispo attractions- Less than a mile down the road is the San Luis Obispo Mission as well as numerous exciting restaurants, wineries and nightlife options. 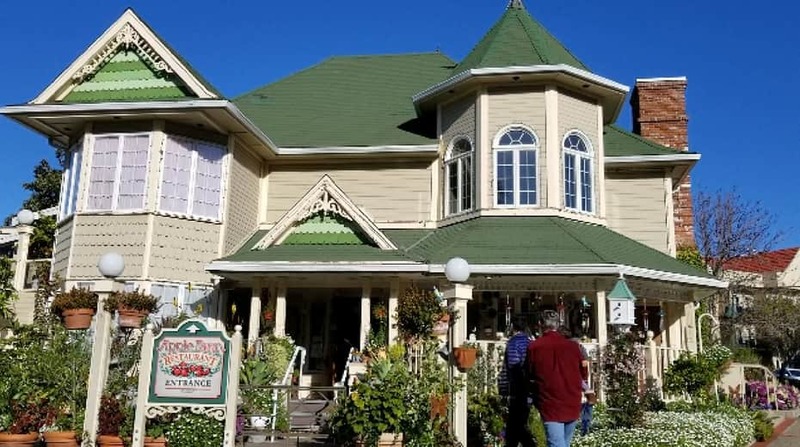 It is pretty obvious that I think the Apple Farm Inn is one of the best places to stay in San Luis Obispo any time of the year. Visiting during the spring definitely put an extra spring in our step. I left feeling rejuvenated and inspired, ready to welcome the season at home. If you haven’t been, I highly recommend booking your stay and travel the HotMamaTravel way!